You'll be swimming in a sea of lust from the moment this boy slides out of the box (or into yours, as it were). Starting out teasingly narrow...your eyes - as well as other parts of your body - will quickly begin to grow as this whale of a challenge makes his way into you. The wild textures and veins could only be surpassed by mother nature herself! Take the plunge - you won't regret it! Also available are the Orca Large and Orca Small. Please note that the colors in the photo to the left are not the standard colors. If you'd like to order an Orca with these colors, please choose a primary color of fleshy pink and a secondary color of black. 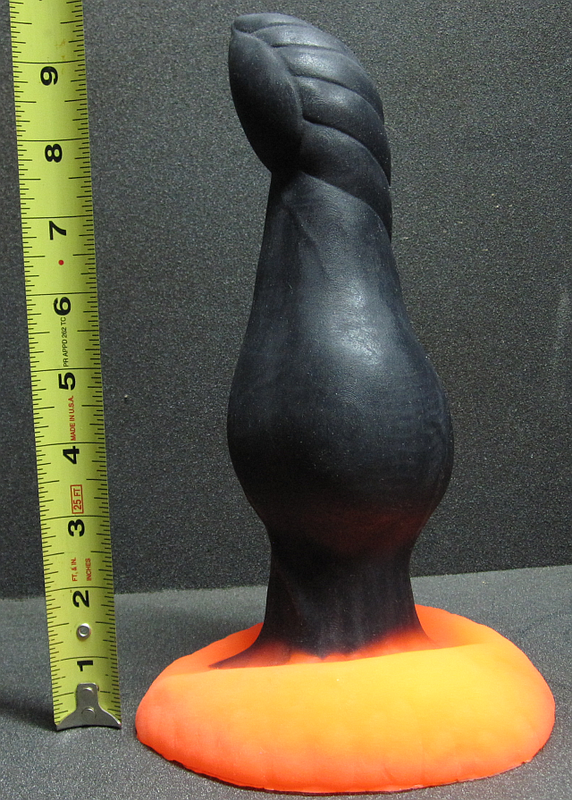 When selecting firmness the toy is usually made a medium and will stand up by it self, so be aware when selecting a softer firmness. A new option is available for colors on the Orca models, which is a Natural Markings. 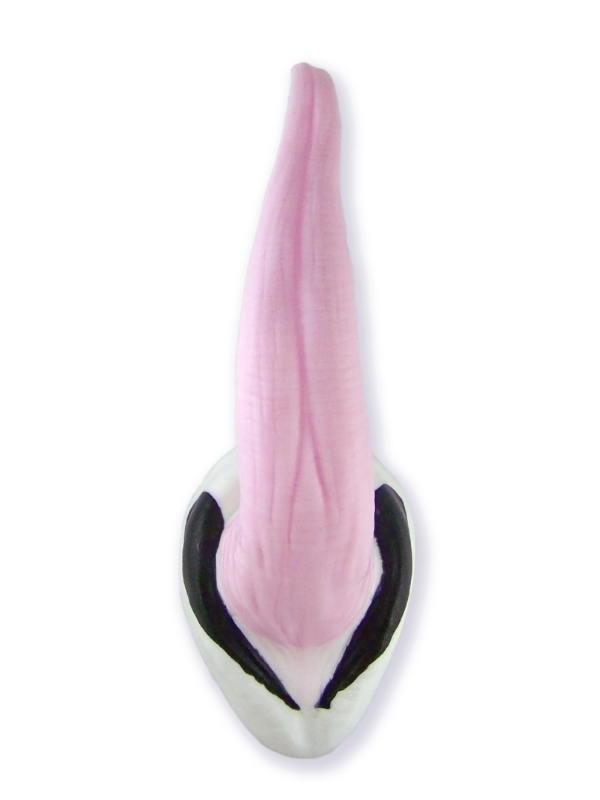 The natural Markings is a combination of three colors pink for the shaft, then a black and white base like real Orca whales have in the wild. Each toy will be even more unique with these markings and no two will be exactly the same.